Industrial, municipal, and commercial processing operations can employ open channels as a means to direct and transport liquids. Open channel flow is technically fluid passing through a conduit with a free surface. The mechanics of this type of flow are well characterized, allowing volumetric flow rate to be determined using a single measurement of liquid depth as it passes through a channel of known shape. These shaped portions of the fluid transport system are known as flumes. There are a number of different flume types used for flow measurement, each with its own name, shape, and application characteristics. One of the most common is the Parshall flume, named after its inventor. In its simplest application, the Parshall flume directs liquid flow through a narrowed throat. The depth of the liquid is measured at a designated point along the flume. Using known flow characteristics for the flume shape and size, volumetric flow rate can be calculated using the depth measurement. 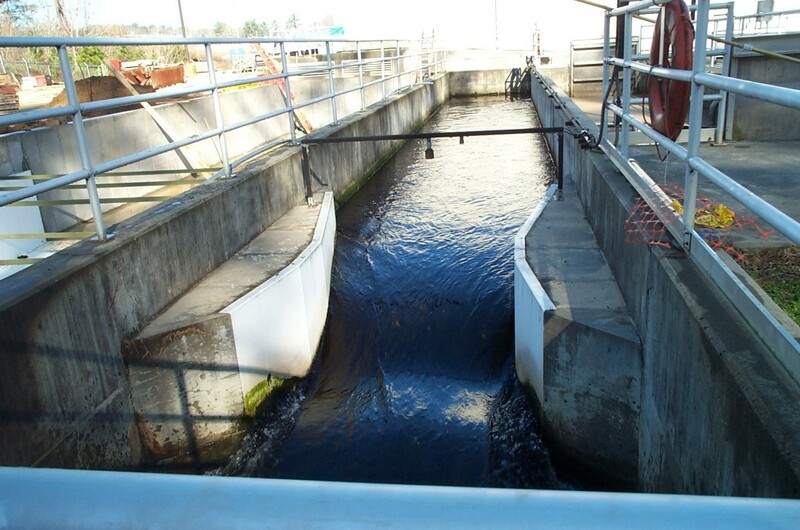 Flumes are widely used in wastewater treatment plants, irrigation, and other applications where flow measurement is needed in an open channel. The flume can be constructed of almost any suitable material, but must be dimensionally correct and stable. Fiberglass is often a material of choice because of its weight, corrosion resistance, cost, and ease of installation. A fiberglass flume can be prefabricated with dimensional precision, shipped to the installation site and essentially dropped in place as a complete unit. Numerous options are available with fiberglass flumes to accommodate every installation requirement. Share your open channel flow measurement challenges and requirements with an application specialist for recommendations on complete flow measurement solutions.